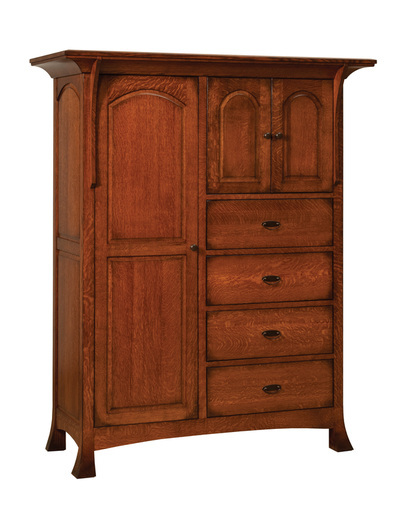 The Breckenridge is defined by the tall, stately four poster bed. Fine quality leather inserts in the headboard adds appeal and comfort. Crown molding, 1" tops, soft-close, side-mount drawer slides are standard features. 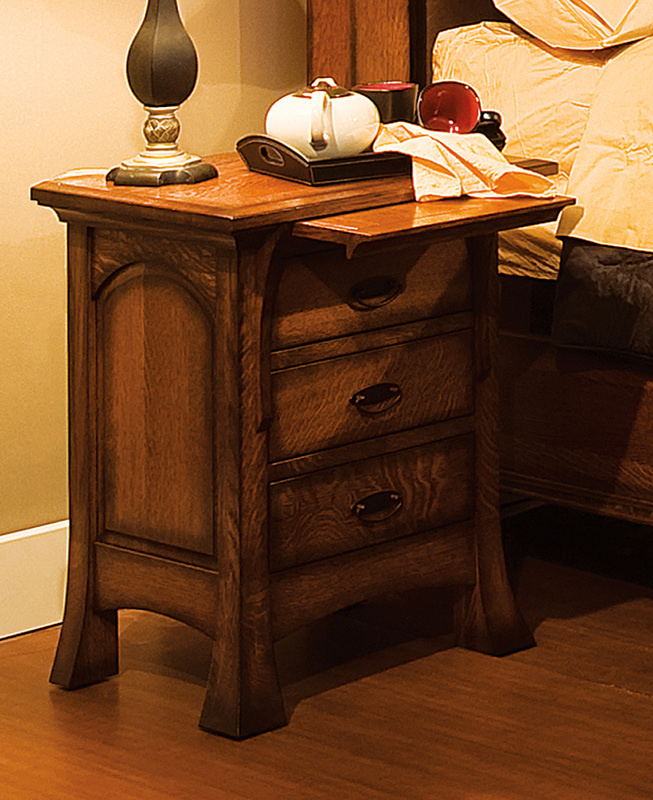 Corner posts are flared at the bottom. 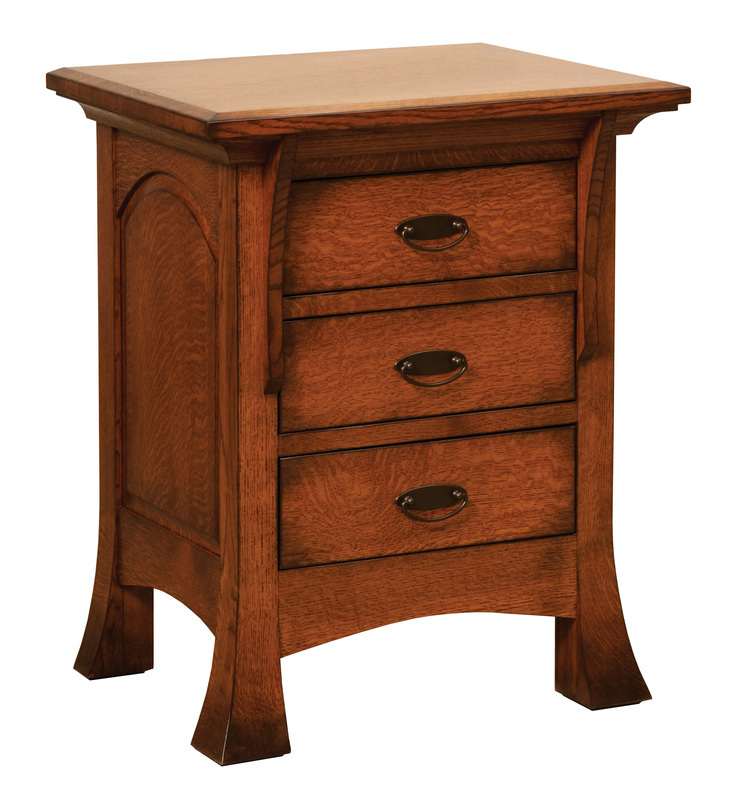 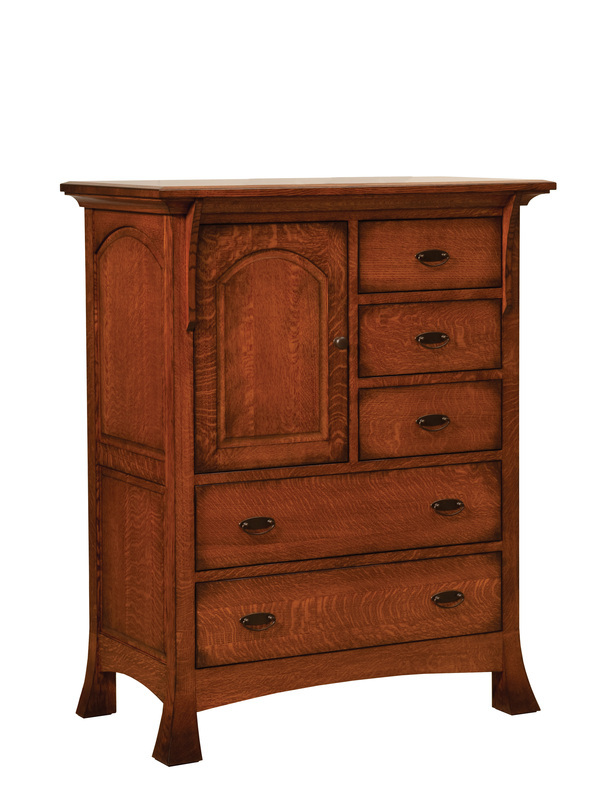 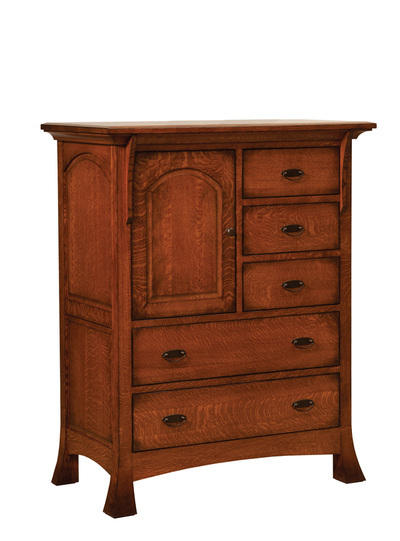 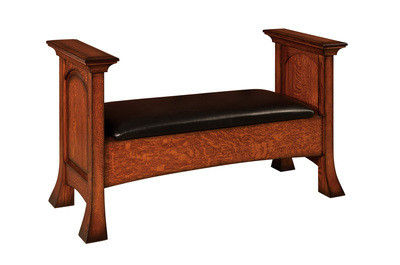 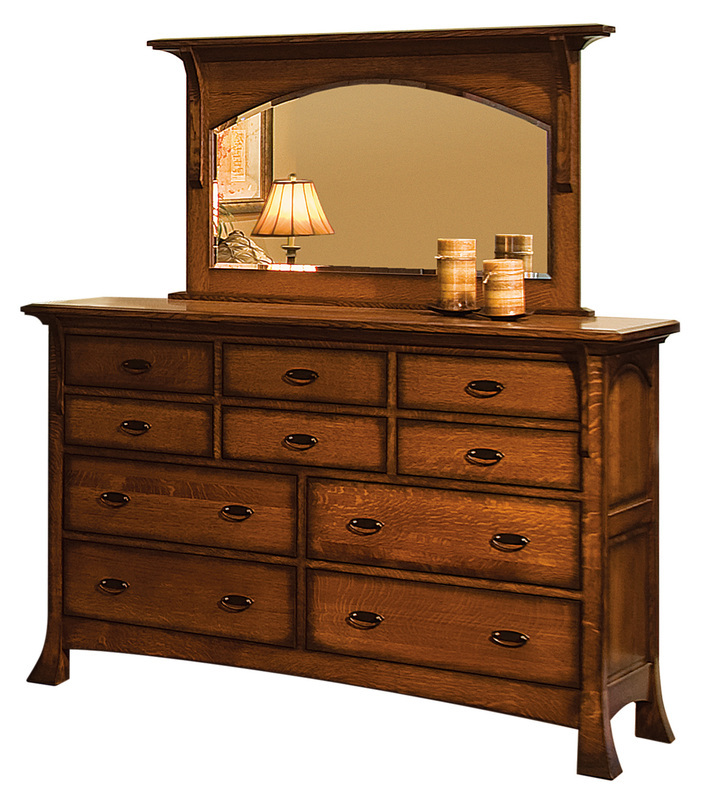 With sleek, graceful curves, the Breckenridge will transform your bedroom. 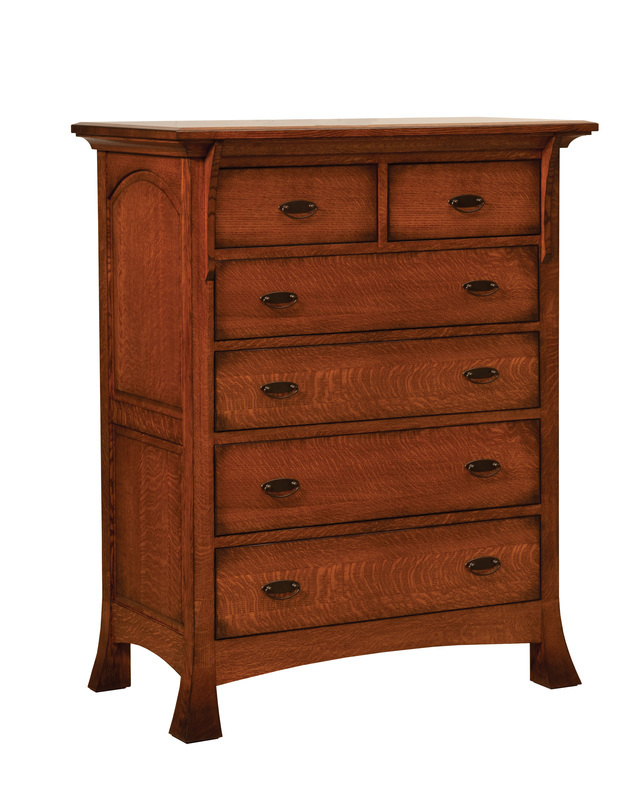 The Breckenridge Bedroom is available in many different wood species, including but not limited to: Cherry, Hickory, Quartersawn White Oak, Maple, Walnut, and Red Oak.